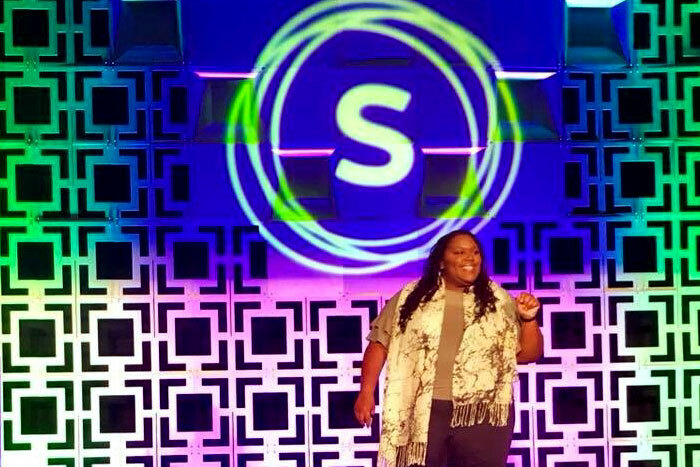 Maisha Cannon kicked off an energetic day two of SourceCon with her keynote, Powered By Data: Leveraging Your Growth Hacking Gains. Cannon’s session was packed with tips, tricks, and takeaways, and I’m going to do my best to convey as many of them as possible in this write-up. Cannon started the session by talking about the scale of our industry, and the amount of data we have on it. There are some flashy – but familiar – statistics: Amazon created 100,000 jobs in the last eighteen months. Sixty percent of potential applicants will quit a process when the application takes too much time. It takes a typical startup 83 hours to hire one engineer. What do we do with that? Cannon’s answer: we hack that data into effective and efficient growth. In her session, she guided us through how to define growth hacking, design a strategy that works for us, and deliver impactful data to the folks who care about it. Growth Hacking is a tough concept to pin down, and there are a ton of different things that come to mind when you think of it. Cannon gave Tris Revill’s Growth Hacking Recruiters Facebook group a shoutout and presented four definitions that capture what growth hacking is today. A mindset of data, creativity, and curiosity (as defined by Dan Martell). If you take each of those definitions together, you land on one common thread: Growth Hacking is about running smart experiments. In other words, sourcing! The key takeaway is that Growth Hacking is a mindset and way of looking at the world – not a silver bullet strategy that will work every time. As Cannon remarked, true growth hacks have a shelf life: they can quickly saturate a market and become less effective over time. After we discovered what Growth Hacking was, Cannon guided us through how to develop a strategy to become more data-driven and effective once we got back from SourceCon and got back to work. One of the most remarkable things about SourceCon is that it draws attendees from diverse industries and backgrounds. What works for me, as a sourcer working at a tech recruiting agency, won’t necessarily work well for my seatmate who works at a large healthcare organization, or for the person across the aisle from a high volume firm. However, we can apply the same strategies to discover what works well for each of us. Cannon urged us to use figure out the one metric that matters and to use that when we test each of our experiments and strategies against that metric. Each of us will likely have a different important metric, but ATAP recently released a report on some that might matter for sourcers, which is a great place to start as you determine what you need! Cannon urged us to start with smart experiments that we could run from our desk and reminded us to start with the tools that we already had. She ran through an example in which she partnered more closely with one of her colleagues. Instead of having a sourcer independently identify and engage folks, after which a recruiter takes over the process, she and her colleague both partnered throughout the entire process, and both remained involved through interview debriefs and check-ins. A true partnership, and not a siloed relationship. As they engaged in this experiment, they figured out the most important metrics and variables to track and report on. At the end of the experiment, they successfully hired a difficult-to-find candidate! She did this in part by following a process called GROWS: Gather ideas, Rank ideas, Outline experiments, Work through the process, and then Study the data – a system that can be iterated, tweaked, and repeated as necessary until you’ve found your successful strategy. Cannon urged us to be data-driven, not just data informed. She shouted out a few tools that can help you gather useful information about your outreach – especially SendCheckIt and ZenSourcer. She reminded us that what gets recorded gets rewarded, and it’s important not just to track your data to see how well you’re doing but to also deliver it to the people who care the most about your efforts. Overall, Cannon’s presentation was a remarkable kickoff to a fantastic, jam-packed conference. She reminded us that we could – and should! – bring a spirit of experimentation into our day-to-day work, celebrate and learn from our failures, and growth hack our applicant funnel to make essential hires. Sarah Goldberg is a Senior Sourcing and Research Specialist at Objective Paradigm. With three years of experience in sourcing, Sarah focuses on leveraging data and research to provide the best “sourcery” - candidates, processes, and tools - for her clients. Sarah focuses on finding IT talent for FinTech and start up companies in Chicago. In her free time, she is a co-organizer of Chicago Queer Tech Club. She earned a Bachelor of Arts with Honors in Classical Languages and English Literature at the University of Chicago.